Remember folks, these are the people who call us "conspiracy theorists!" “So Russia has done that to the United States and that started way before 2016," he says. "The earliest references I have with relation to Donald Trump shows that it started back 2011 with [accused Russian spy] Maria Butina and the NRA contacts with the fundamentalist Christian right and the alt-right in the United States." "They have played on the themes of the far-right conspiracy theories of the 1960s, the John Birch Society, a sideline group. The farthest extremes of the libertarian parties," Nance says. "They have amplified racism to the point where the alt-right, Steve Bannon’s own creation of gamers, is now the wholly-owned subsidiary of the Trump campaign and are believers in David Duke, the Ku Klux Klan, Richard Spencer the neo Nazi and Robert Spencer the Islamophobe to the point where they’re mainstreamed." 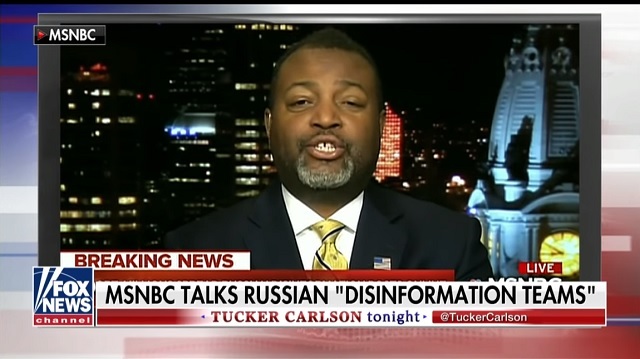 “Wow, Malcolm Nance. This is why we ask you all the time to come on this broadcast," Williams says. "Scary stuff, but it needs to be said, needs to be heard. Thank you, sir, so much for joining us once again." "It needs to be said." It needs to be heard." "This is why we ask you to come on this broadcast." Save that video. Future generations won’t believe it. Is it just me or does it sound like Nance just watched this old interview with Yuri Bezmenov talking about communists trying to take over America and acted like it was some "insider source" of his? I've seen tons of leftist morons on Reddit and elsewhere sharing it thinking he's some leftist talking about Putin and not a right-winger talking about communists.